Dr. Burnette has moved to University of New Mexico subsequent to the time of study. An erratum to this article can be found at http://dx.doi.org/10.1007/s10803-012-1507-y. This work was supported by NICHD (RO1 HD59253), Autism Speaks, Vanderbilt General Clinical Research Center (M01 RR-00095 from the National Center for Research Resources, National Institutes of Health), and by the Vanderbilt University Kennedy Center (NICHD HD15052). Natrol®, (Chatsworth, CA) provided study drug but no other support. Dr. Shlomo Shinnar provided valuable input into the study design and Dr. Gregory Barnes served as the medical safety monitor. We acknowledge Ms. Kyla Surdyka and Ms. Meg Touvelle for their assistance with data entry, and are appreciative to the families who participated in this project. Hollway, J. A., & Aman, M. G. (2011). 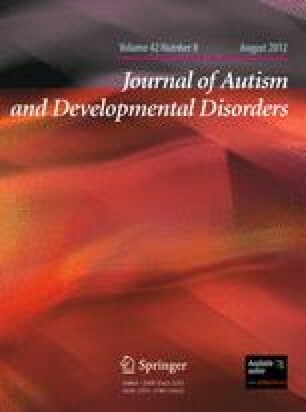 Sleep correlates of pervasive developmental disorders: A review of the literature. Research in Developmental Disabilities. doi: 10.1016/j.ridd.2011.04.001.